Let’s travel the wonderful world of food through our children’s eyes, without leaving the comfort of home. The food choices given to our young and impressionable children are more than we’ve ever experienced in our own childhoods. As parents, we teach our children how to navigate and choose wisely. One lesson that’ll hold them in good practice for years to come is giving them the ability to be comfortable with all types of food, from all kinds of cuisines and cultures. As a chef and parent of three young children, each with extremely varied palates, I’ve tried a few strategies of my own while keeping an eye on how it’s done by successful parents of kids who will eat anything…how DO they do that?! 1. Start at their comfort zone: Don’t completely leave your child’s personal comfort zone. Start slow and work within their circle instead. You’re the best judge of your kid’s reaction to strange and new experiences. 2. Walk the talk: Practice what you preach; kids can always sense hesitation in a parent. Try new foods and they’ll follow suit. Turn your nose up at something “different,” and chances are your little one won’t be trying it soon. 3. Visit an authentic ethnic restaurant: Restaurants are a great way to expose children to new cuisines and their culture, where the decor and service staff generally showcase the ‘flavor’ of that ethnicity. I have learned to make things interesting for my children before visiting a restaurant by reading a book, watching a movie on the culture, or finding the country of that cuisine on a map. It has the same magical effect on children as it does on an adult; traveling to a different city, even within the same country, opens a child’s mind to a variety of new cultures, cuisines, language and most importantly, its people. 4. Travel, travel, travel: Take the time, make the memories and just do it. Near or far. new tastes, flavors and traditions. 6. Try making simple ethnic favorites at home: Lastly, especially for the super picky eaters, try making ethnic-inspired dishes like Chicken Teriyaki or Choco Kulfi Ice Pops at home along with your child; they enjoy being part of the fun and excitement of cooking a meal together. Once they’ve ‘cooked it’ themselves, the little chefs will be even more eager to eat their creations. 1.Bring evaporated milk to a boil along with ground cardamom. Turn the heat to medium-low while stirring occasionally, so it doesn’t stick to the bottom of the saucepan. 2.Add the condensed milk and chocolate chips. Let the chocolate kulfi mixture cook for about 3-4 minutes. Taste for sweetness and add more condensed milk if desired. 3.Turn off the flame and, if using, stir in the crushed almonds. Let the chocolate kulfi mixture cool before pouring into ice pop molds. Make sure to stir the mixture as you pour it in the molds, so the almonds don’t settle at the base. Freeze the ice pops for 6-8 hours. 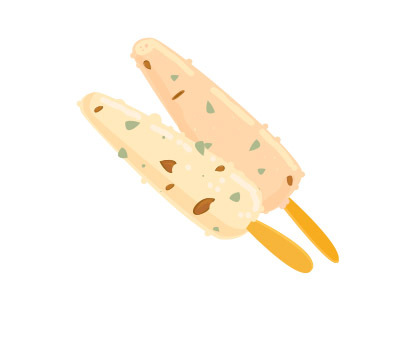 4.Unmold the Chocolate Kulfi Ice Pops and serve as a dessert treat.